PASQUATO can customize the longitudinal (slitting) and the cross cutting process of the sheeter according to your needs. Pasquato sheeters for materials involved in the converting industry are equipped with shear rotating knifes, which allow to cut nearly any kind of materials. 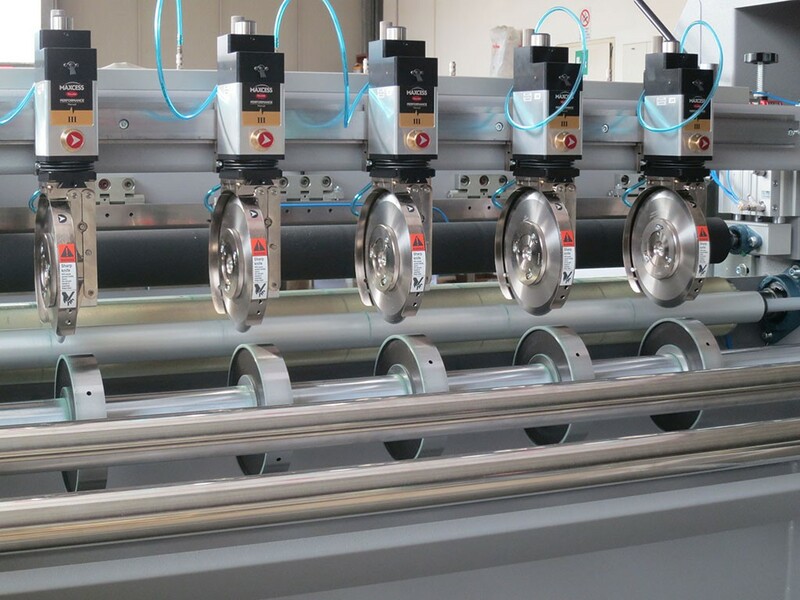 The gear servomotor controlled by an encoder unit feeds the web through the NIP roller, so providing a good tension that means high accuracy of the cuts.